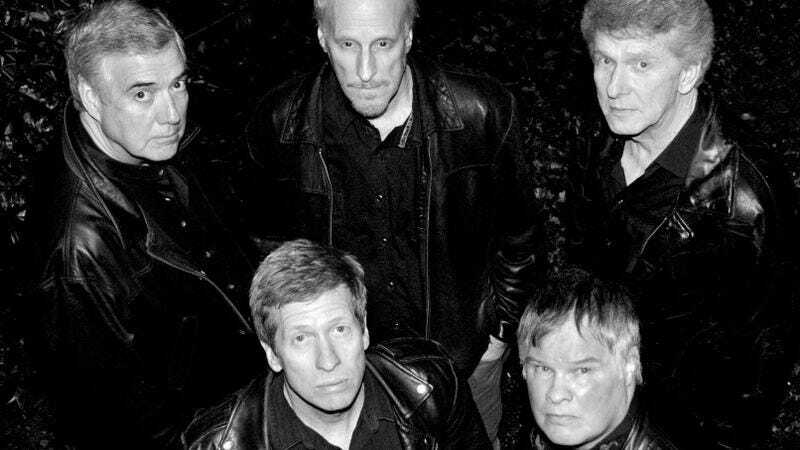 Formed in Tacoma in the early ’60s, before rock really got weird, The Sonics secured a place in history with “The Witch,” “Psycho,” and “Strychnine”: an unholy trinity of unhinged stompers credited with spawning punk, metal, and grunge. All three feature a muddy guitar-and-sax attack and lyrics that might read like Halloween camp were they not howled with such startling, joyful lunacy by singer and keyboardist Gerry Roslie. A half-century later, those recordings still sound subversive and bizarre in ways other ’60s garage rock doesn’t. Play a teen punk fan 1965’s Here Are The Sonics, and they might dig it for the same reasons Bruce Springsteen, Kurt Cobain, and the guys from Mudhoney did. Roslie has been touring alongside saxophonist Rob Lind and guitarist Larry Parypa—fellow members of the quintet’s classic lineup—since rebooting the band in 2007. 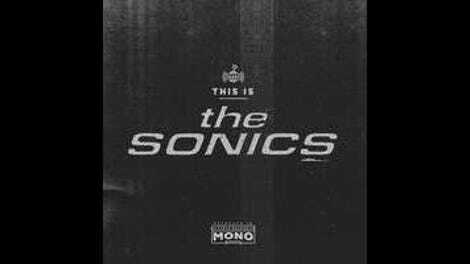 This Is The Sonics is this classic lineup’s first proper studio album since 1967, and despite all the goodwill stemming from vintage material and recent live shows, the players come into this project with their work cut out for them. Even recording with someone like Jim Diamond—a Detroit garage lifer who’s played with The Dirtbombs and produced just about every neo-Nuggets band worth knowing—the 21st-century Sonics risk losing the dank wallop so central to their ’60s favorites. How do a bunch of 70-something dudes reconnect with whatever wild-eyed spirit compelled them to cut singles about wishing for death and swilling poison for kicks? That first problem isn’t much of one, since Diamond keeps his analog production about as primitive as a modern professional can. Relative to the early stuff, there’s a little more separation between the instruments, but it’s a long way from slick. As for material, the group leans heavy on covers, just like back in the day, and still excels at roughing up old blues and R&B tunes. First recorded by Ray Charles in 1966, opener “I Don’t Need No Doctor” is a ripping showcase for Parypa’s gnarled guitar, Roslie’s frenzied piano plinks and still-mighty screams, and Lind’s strip-joint horn. With handclaps, harmonica, and Little Richard yelps, “Leaving Here” combines the best of Eddie Holland’s 1963 Motown original and Motorhead’s 1977 cover. The only thing better is the punk-soul dance party “Sugaree,” penned by country great Marty Robbins. The weakest tracks are the originals, if only because they don’t stand up to the band’s signature singles. Bassist Freddie Dennis, formerly of The Kingsmen, does his best to recreate “Psycho” with “Livin’ In Chaos,” but he’s like Sam Kinison on a Raw Power trip, and the whole thing feels forced. Lower stakes yield a higher payoff on “Bad Betty,” a bluesy romp about a mean momma in a Coupe De Ville. Whether it’s ’65 or ’15, the truly killer Sonics tunes sound the least premeditated.